Recently, I put out the call for Black creators of Speculative works to join me in putting on the 2nd Annual Black Science Fiction and Fantasy Youth Symposium. Authors and artists from around the country responded. Of course, since the event takes place in Atlanta, GA, I did not expect anyone from outside of Georgia to actually become involved, however, the enthusiasm and support is much appreciated and I hope that one day soon, such Symposiums will take place all over the U.S. However, one comic book author – recommended by Sue Gilman, the Director of our partner in the symposium, the Wren’s Nest – the brilliant writer and creator of the (H)afrocentric comic book series, Juliana “Jewels” Smith, is joining us all the way from the Bay Area. Jewels, a former professor in Oakland, California, was inspired to create (H)afrocentric after trying to find a way to teach her students about the United States’ prison industrial complex. Smith was amazed by how receptive her students were to a comic book she gave them called Real Costs of Prisons Comix and realized the power of the comic book medium to convey thoughts, ideas and principles. In Jewels’ world of (H)afrocentic, characters envision a neighborhood that is reminiscent of Ancient Egypt, with pyramids replacing houses; the legendary ancestral home of the Aztecs, Aztlán, called “Atzlan” in Jewels’ world, is the Southwestern United States, which is given back to indigenous peoples and political prisoners like Mumia Abu Jamal are released from prison. 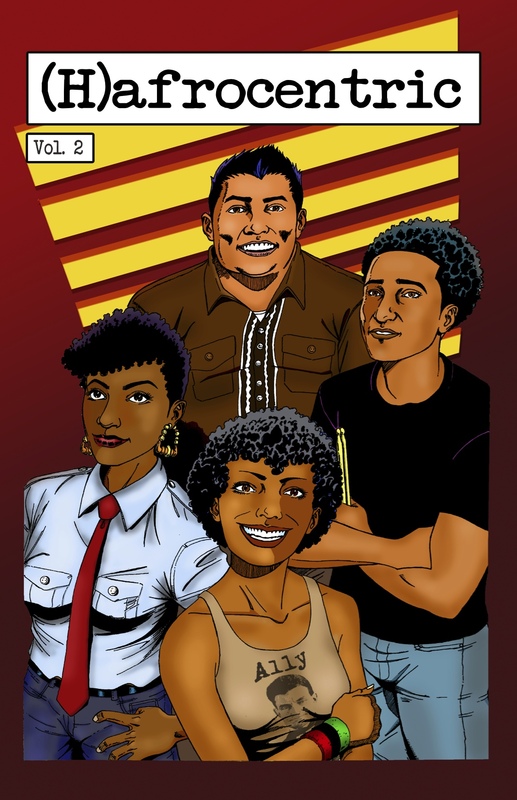 All the while, the characters – particularly the comic book’s hero, Naima Pepper – battle against the evil forces of gentrification. Another comic book creator, Atlanta-based James “Mase” Mason, has also joined us. 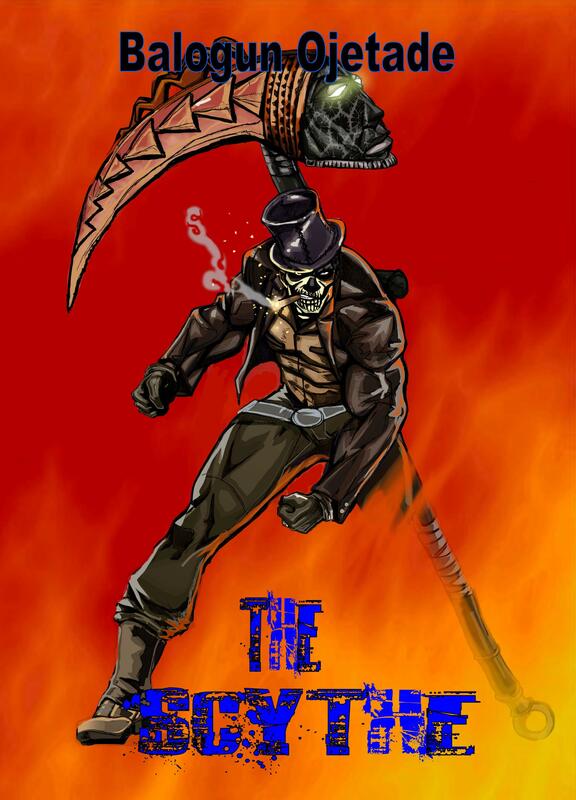 Mase, a member of the State of Black Science Fiction authors and artists collective, is writer and artist of the popular Urban Shogun: The Evolution of Combat comic book series. 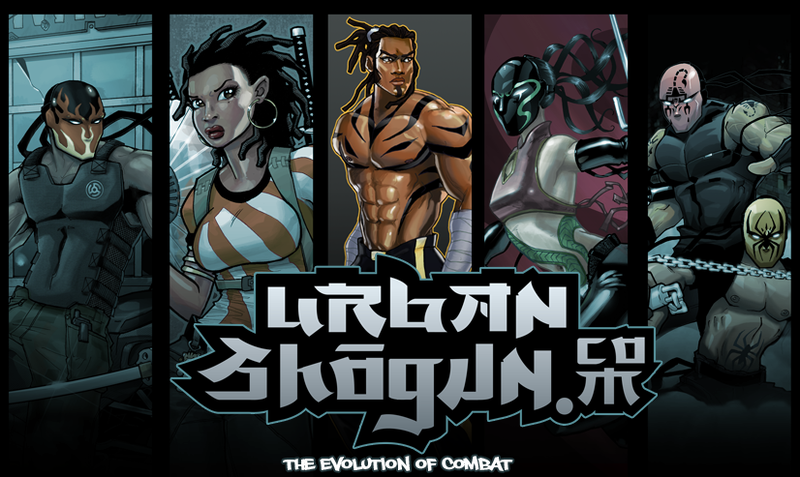 Urban Shogun: The Evolution of Combat follows the exciting adventures of students of an inner-city martial arts school and their Kung Fu Style war on the streets of Atlanta. Specializing in updated forms of Five Animal Kung Fu, Tiger, Crane, Phoenix, Mantis and Cheetah protect the streets from criminals and their dangerous martial arts rivals – the Venom Clan! Renowned author and publisher, Milton Davis – who also serves as co-curator of the Alien Encounters Black Speculative Fiction and Film Conference and co-founder and co- curator of the Black Science Fiction Film Festival, both in partnership with Yours Truly – brings his experience as an author and publisher of the best in Black Speculative Fiction to the symposium. Milton is CEO of MVmedia Publishing and Beyond and has created and / or published great Sword and Soul, Steamfunk and Urban Fantasy for people of all ages, such as Meji, Books I and II; the Steamfunk anthology; Changa’s Safari, Volumes I and II; Woman of the Woods; Griots: A Sword and Soul Anthology; Griots: Sisters of the Spear; and Amber and the Lost City. Completing the list of teachers is author, filmmaker and event producer, Balogun Ojetade (yep, me). Through his multimedia company, Roaring Lions Productions, Balogun creates and publishes books and films made by, for and about Black people of all ages. In addition to his self-published works, Balogun is also traditionally published by various small press, as well as Major, companies. Balogun’s works include the first Steamfunk novel, Moses: The Chronicles of Harriet Tubman (Books 1 and 2); the popular Sword and Soul novel, Once Upon A Time in Afrika; the Urban Fantasy novel, Redeemer, the Dieselfunk novel, The Scythe and two pulp Fight Fiction / Action-Adventure novels, A Single Link and Fist of Africa. Balogun is also contributing co-editor of the bestselling anthologies, Steamfunk and Ki-Khanga: The Anthology. With such diverse talent and personalities and with such an awesome schedule, the students are in for much fun, much learning and much development towards becoming the creators and developers of a brighter future. 12:55pm – 2:15pm: The Young Comic Book Creators will sit with comic book writer, Jewels Smith and comic book artist, James Mason, who will guide them in writing their story as a comic book script. Any young comic book artists may also begin sketching their comic book if time permits. 12:55pm – 2:15pm: The Young Authors will sit with authors Balogun Ojetade and Milton Davis, who will guide them in writing their story as a short story. This event is free and open to the public. However, due to overwhelming response, we are limiting availability to 45 spaces. Register to reserve your – or your child’s – spot. 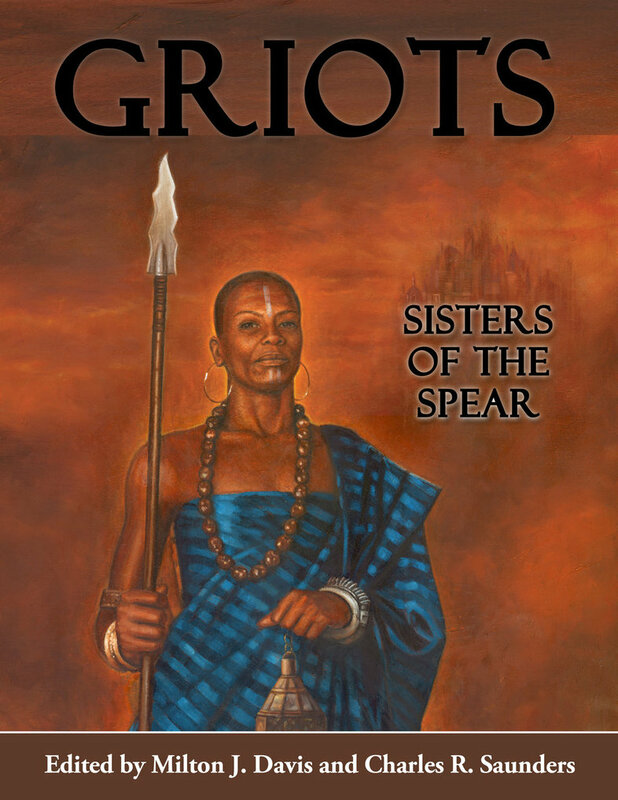 Posted by Balogun on March 22, 2014 in Adventure, Afrofuturism, Panel Discussion, Speculative Fiction, Writers Workshop and tagged Black comic books, black speculative fiction, youth symposium. That sounds like so much fun! 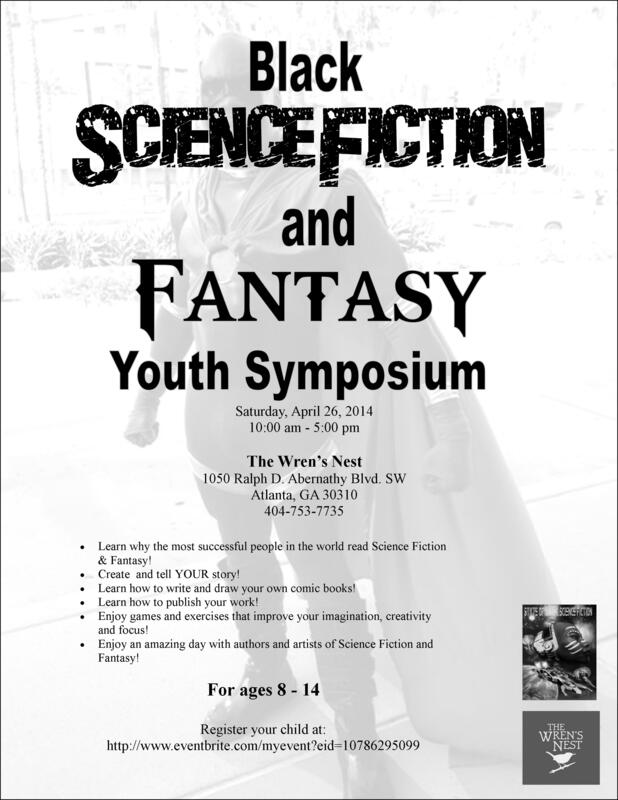 I wish I could see the Black Science Fiction and Fantasy Youth Symposium. I will need to look at (H)afrocentic and Urban Shogun: The Evolution of Combat. Thank you for mentioning those titles!